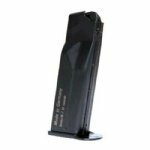 HK P7 M13 13rd 9mm magazine new in wrap. Latest German HK production. This is the correct magazine for HK P7 M13 pistol.